Outside of our regular Sunday morning worship, PFUMC members have a history of connecting with each other for spiritual growth, Bible study, and small groups available for all ages. Together, we engage in life through teaching, fellowship, and prayer. We are intentional in loving and being loved, serving and being served, teaching and being taught. Connecting with each other is an expression of our faith that leads into a growing relationship with God and continuing our desire to be on fire with the spirit! A strong children’s ministry program has always been important to the members of this church. From the very beginning, many parents were looking for a church that would provide meaningful experiences for their children. ”We wanted our kids to go to church with the same kids they went to school with so they would have something in common,” said Sandy Tolleson. There have always been activities for children to get involved at PFUMC whether it be Sunday school, children's choir, VBS, etc. Over the years, opportunities for children to meet up outside of Sunday morning included “Wacky Wednesday” in the summer, “Junior Jesus Junkies,” and “Savior Seekers.” Darin Coppedge remembers fondly a trip to Bergstrom Air Force Base when Pastor Harrell joined them. My kids loved attending VBS every summer. When we would start looking at the calendar to set up summer camps, one of the first weeks we’d schedule was VBS week. VBS was a challenge in terms of child care, because it was only half a day, so I had to find something for them to do the rest of the day. But it was worth it. I was never able to volunteer at VBS—I was one of those parents who’d drop my kids off and drive away. The people who organized it, though, would ask for donations and I was happy to go to the store or dig through my own craft supplies to contribute things that they needed. I remember Cindy Meier, Georgia Torok, Sherry Thiele, and Melissa Minor all worked on VBS. They made elaborate decorations that covered the entire Family Life Center, all tied in with the VBS theme. There were a lot of volunteers—adults and youth—who made the whole week run smoothly. The kids learned songs at VBS, made T-shirts, and did crafts. They would usually wear their T-shirts and perform some of the songs in church the Sunday after VBS ended. One of the things I liked best about VBS was how it involved our children and youth and welcomed people from the community. Kids would invite their friends to come to VBS with them, opening our church to new faces. The youth would help lead the small groups, and as my kids got older they transitioned into serving as group leaders themselves. It is one of my kids’ favorite memories of growing up in the church, and I appreciate all of the people who made that possible. I became involved in children's ministry after the birth of my first son in 2012. I started in VBS and then started serving in children's small groups. I am now the Director of Children's Education. As staff member as well as a parent, I think I have a unique interest in our church kids and the wonderful programs at PFUMC. My favorite part of my job is to see the connection the kids have with God, the light bulb that goes off when a Bible story or lesson clicks when applied to a real life situation. I especially love to see kids running up, excited to join their classes. Kids in our children's small groups have been together practically their whole life, and it is satisfying to know that they will all grow up in Christ together. In 2014, Youth Director Amy Howell felt a call to family ministry, to position the church to partner with parents raising kids spiritually. She believed that discipleship happens through relationships and the more we position people in intentional relationships, the more opportunities there are for discipleship. Amy guided our church toward the Orange strategy and was integral in setting up the current children's small group structure. We use the Orange curriculum in our small groups. What is Orange? It is a simple strategy that starts with the two individual most important influences in a child’s life: home and church. These two core foundations work hard to ensure that every child has a better future. When they are combined, the home (red) and church (yellow) will have a greater impact. And that is . . . Orange! The ministry also aims to serve families. There are frequent meet ups outside of church for bowling, fun at the park, meals, and baseball games. There is also a weekly stay-at-home mom's Bible study. When I was in the sixth grade, the youth group was really small. Our parents and others said this is really important to us and we are going to have a strong youth group. Therefore, the church hired Tiffany Walker. We went on our first mission trip to Mission Texas. Kenny Mire was one of the volunteers. That was quite an eye opener with roofing and everything. The next youth director was Marcus Kilpatrick. We did the “30 hour famine” with him. That was really hard not eating for 30 hours. He is a pastor now in Louisiana. Then Ryan Barnett became youth director. He really got the program rolling. It tripled in size and was involved in a lot more. I went to confirmation classes with him and Pastor Frank Wolf. Sandy Monzingo was my mentor. We went on more mission trips, including trips to Tennessee two or three times, and did things around the community. We did more fun activities, like a mystery ramble trip. The youth became more involved in the leadership of the church. Jeremy Wester and I were on the committee for building the sanctuary. Ryan left the church to go to seminary and is now the senior pastor at First UMC, Waco. I graduated from high school in 2002 and after that Amy Howell became the youth director. We joined the church in 1985 and volunteered to be youth sponsors with another couple. We had a nice little group of 12 kids, and they talked us into having a lock-in. Unbeknownst to us, they made up flyers and put them in their high school. We were surprised when 150 kids came to our lock-in. We called parents and friends to bring food and to help us chaperone these kids who outnumbered us quite a bit. Pflugerville FUMC played a huge part in my Christian formation and my decision to seek ordination in the UMC. Our family moved to Pflugerville in 2000 just after my freshman year in high school. I was immediately welcomed into the youth group and felt at home. The youth group was where I met my best friends and where I really began to claim faith for my own. The youth group also gave me the chance to take a true leadership role in the church for the first time. I think what I’ll always remember most about youth was that I didn’t have to choose between having friends and loving God—being part of a community striving after Christ didn’t get in my way, it’s what led to my deepest friendships and most cherished memories in Pflugerville. The stories I remember most of my time in the church speak to the way PFUMC was a community of love and acceptance for me and so many others. I didn’t make friends easily at the time, but the willingness of the youth and the rest of the church to welcome me in was one of the more impactful experiences in my walk with Christ. The more I learn and grow, the more convinced I am that being that kind of loving presence in someone’s life is the most crucial piece of the puzzle for finding healing and wholeness. Only when we feel safe enough and loved enough can we let down the walls of the way things have always been and open ourselves up to the life-changing grace God offers. My advice to PFUMC is simple: remember who and whose you are. The kind of community that you offered to me in high school changed my life in countless ways. Be bold enough and faithful enough to be that kind of loving presence for your neighbors near and far, and there’s no limit to what God can do through you next! L to R: Julie Isslieb, Courtney Kuehner, Dayna Coppedge, Sarah Torok, Ashley Davis, Cortney Smith Hollinger. My parents had been members at PFUMC for seven years when I was born. Rev. Jim Harrell baptized me. I have great memories of outings with my Sunday school friends and their families to places like the Austin Zoo and lots of parks. I was confirmed by Pastor Nancy Mossman. My mentors for confirmation were Bobbie Bishop and Mary Jane Sandford. I was lucky enough to have Amy Howell as youth director the whole time I was in youth group. Amy was there for me when my grandmother passed away and for countless other teenage problems. We are still close today. I attended every mission trip and loved playing summer volleyball. The LaPoints hosted a Bible study for us in their home. In 2006, Cortney Smith started a small group for girls who were juniors or seniors in high school called Class of 2011–2012 Girls Group. We met Sunday afternoons for fellowship and Bible study. The first year we raised money for the Princess Project at UT that provided prom dresses for girls who could not afford to purchase their own. We set up lemonade booths on Sunday mornings and at church events to raise money to buy prom style dresses. We also accepted donations of dresses. We were able to donate 100 dresses. The next year our goal was to raise money to support an organization called the Overflow Challenge that built water wells in Africa. In order to do so, we organized a 5K run at Old Settlers Park. We had over 100 runners and raised about $1,500 that day. We collected change in empty water bottles, sold more lemonade, solicited sponsors, and sold lunch totes with the help of Cortney’s sister. We were able to raise the $4,000 needed to build the well! Cortney taught me what it is like to have a servant heart. She introduced me to Habitat for Humanity, where I have volunteered several times. What I remember most about my time at PFUMC is the sense of community. I always knew I had people who loved me and would be there for me if I needed them. It was hard to imagine living in a place where you did not have clean drinking water or not being able to attend prom because you could not afford a dress. I was proud that we were able to work together to accomplish our goals. Over the past 15 years that I have been involved with the youth of our church, we have strived to provide specific growth opportunities for our youth outside the weekly Fusion youth group meetings. These specific instances were aimed at giving young people the opportunity to mature in their faith walk and life skills through Christian service to others. These included Midwinter retreats, summer mission trips, pumpkin patch service, and youth Sundays. Midwinter is an annual retreat for students in the Austin District of the Methodist Church, traditionally held every February. Youth groups from all over the district will converge in one location to further their relationship with Jesus through dynamic speakers, celebratory music, thought-provoking small group discussions, and intentional worship centering around the weekend theme. Group games and free time sessions offer the opportunity to make new friends from other churches and to renew friendships from past Midwinters. One year we had mostly middle school students, and as a male sponsor I was always tasked with managing the boys in their sleeping quarters. There usually is also at least one college student there as part of the programs that would also be in our sleeping quarters. On this particular instance, the college student woke up Sunday morning and noticed that someone had gone through his backpack and all his stuff was spread out on the floor. Come to find out one of the middle school boys had gone through it in the middle of the night looking for a flashlight. Needless to say, this provided an opportunity for growth in responsibility and having respect for others belongings. Each summer both the middle school and high school youth have an opportunity to serve others on a multiple-day out-of-town trip. The middle school trip is usually four days, and the high school trip usually lasts a week. Most of these involved working with UM Army of Texas. UM Army has a mission of serving people in need who have no other means of serving themselves. Using a local church as a home base for camp, youth spend the week providing work for low-income elderly and disabled homeowners in the surrounding areas. Projects usually include general repairs and clean up, building wheelchair ramps, porches, steps, handrails, painting, mowing, and being Christ’s hands and feet in the world. Daily worship and noon devotionals serve to focus everyone on Christ and promote spiritual development. Each youth is put on a work team with youth from many other churches, which promotes building community as they work together to serve others. Over the past 10 years I have sponsored at least one mission trip each summer with our youth. I have come to realize that these trips are as meaningful to me as they are to the students. Each year I find that God is giving me a new challenging experience. One year I had a small team with only four students, and we were asked to go clean up the premises of a church member who lived on five acres outside of town. This was very sensitive as her husband had just died the weekend before and the funeral was coming up the next weekend with a lot of family and friends coming in for the service, which was to be held on the premises with his ashes to be spread over the property. As we arrived, the first thing I asked the team to do was spread some lime over an area that wild animals kept coming and digging up. At the time I did not tell them it was because the husband had actually committed suicide by shooting himself in that spot and the animals kept coming in because of the blood that had soaked the ground. This was a very humbling experience, which is not something we usually expect to encounter on our youth mission trips. But I am thankful that we were able to give his wife a respite while we made the property presentable for the family and friends coming in. A year later I was given a very large team of about nine students on the mission trip. This was also a challenge as one of them was a special needs child, a situation I had never been in on any of the previous mission trips. At the beginning of the week she did not think she could handle any of the work, so she just sat on an ice chest and watched. I encouraged the other students to find various things she could do and kept asking her to help like hand screws or nails to those building the wheelchair ramp. By the end of the week, she was right in the middle of it, handing everyone nails, holding boards in place, etc. She stated prior to leaving that it was one of the most fulfilling times of her life, and she really was an integral part of the community that was formed on that team during the week. That was also a growing experience for me as well. Over the past years our youth have also served others in Rockport, Brackettville, Mission, Johnson City, Manor, Floresville, San Antonio, and other areas all over Texas. Each year in October, the youth of our church have a fundraiser to help pay for the summer mission trips. They host a pumpkin patch that sells pumpkins to the community. The pumpkin patch has a twofold purpose. First, it is a way for us to connect in community. We connect with each other when we unload pumpkins or when we work the patch, selling pumpkins. We connect with guests who visit the patch and share with them about what makes our church community special. Secondly, our patch raises funds to support students on the summer mission trips. Mission work has a unique opportunity to transform a student in their relationship with Christ, particularly because students are involved in hands-on opportunities to be the hands and feet of Christ to others. Some years we have trouble getting youth to sign up to work the patch, and as it is just before Halloween, I decided to start dressing up in a Halloween costume and encouraged the youth to sign up and also come in costume. Last year I came as Captain America, and the little kids and youth seemed to really have fun with it. So this year I signed up for three or four days in a row and came as Darth Maul, then Kylo Ren, then a stormtrooper, and finally Boba Fett the bounty hunter. The kids had a lot of fun with it, and a lot of families that came to buy pumpkins asked if they could get a picture of their child with me. At least once a year the youth of our church are given an opportunity to facilitate and conduct the entire worship service on Sunday morning. This includes the youth band providing the music, youth serving as ushers handing out bulletins and taking up the collection plates, and includes personal witness from several youth as well as youth reading the scripture and leading prayer for the service and very often serving communion to the congregation. This is always an opportunity for our church community to see the youth of our church sharing their faith through worship. Other instances of our youth serving the community include building a 64-foot wheelchair ramp for an elderly lady in Bastrop, building the bridge over the creek on church property so people could easily access the labyrinth from the church main grounds, preparing meals on Sunday mornings and serving them to homeless throughout Pflugerville during the Sunday school hour, providing a Sweetheart dinner and square dance for the community, and providing the band at district youth lock-ins. I had the honor and privilege of serving at PFUMC in ministry to youth and then in ministry to children and families as well. PFUMC has a long history of valuing and supporting our youth (sixth–twelfth graders). Our youth ministry focused on creating opportunities for youth to worship, serve, study, and fellowship, with the ultimate goal of creating lifelong disciples of Jesus. I served specifically in youth ministry from 2003 to 2013. We had some amazing volunteers who dedicated not only their time but also their hearts to the discipleship of our kids. They worked tirelessly to meet kids on their journey, often losing sleep through retreats, lock-ins, and mission trips, just so they could listen and pour into a student wrestling personally with their life and faith. We sat together in Bible study and tried to understand scripture passages and what they meant for each of us. We came to expect the unsettling truth of not knowing all of the answers of faith. Through these experiences, many youth and leaders connected with each other and with Jesus in deep and life-changing ways. Over those years we raised up some incredible students, some of whom went on to professional ministry. After almost eleven years serving in PFUMC’s youth ministry, God placed a new call on my life. I went to Pastor Wade Lindstrom in the fall of 2013, then later to SPRC, with a proposal that I move into a new position—to oversee ministry to all children in our care, birth through high school, and their families. Once I had children of my own, I realized in a new way how much groundwork a family lays for a child’s spiritual development. I knew that, as much as we poured into our students, we as a church had not been strategic in acknowledging and equipping parents as the spiritual leaders of their children. I believe that parents have the most potential to influence their children. We as the church have the most potential to influence parents. If that is true, then we needed to shift our entire ministry strategy from the ground up. First, we needed to prioritize partnering with parents. Second, we needed to focus on discipleship through relationships, specifically through small groups. This new strategy had to start with the youngest children in our church, to lay a foundation for them and their families, long before they entered our youth ministry. I served as PFUMC’s Director of Spiritual Formation for Children, Students, and Families from 2014 to 2017. During that time I believe we as a church made progress in partnering with parents through consistently acknowledging parents and their role as the spiritual leaders of their children. We equipped parents through things like our parenting discussion groups and weekly Parent Cues. We developed events like the Family Easter Experience and Advent Adventure with the express purpose of kids and parents sharing a fun spiritual experience together, giving them a launch pad for further spiritual conversations. We created small groups for three-year-olds through twelfth graders. We trained and raised up some passionate small group leaders who poured into our kids and their parents, both inside and outside the church walls. Shifting our ministry strategy, while vitally important, was also met with significant challenges. Change is often met with resistance, by the very nature of being something different. I still strongly believe in this strategy, and I am hopeful that it significantly impacts the next generation being raised up through PFUMC. I love the people of PFUMC with all of my heart. This place has been so much more than my workplace. My husband and I were married in this church. Our babies were baptized into this family. You have been my people. I hope that I have been one of your people as well. We have dreamed together, rejoiced together, cried together, challenged each other, and shared the love of God with one another. My desire, more than anything, is that PFUMC will unite as a people and choose to intentionally reach out to others and bring them into the fold. I pray that we can all be individuals with a spirit of humility, open to the counsel of each other and of our pastors. In an ever-growing town, with new guests coming to worship every Sunday, PFUMC has significant potential to influence the faith of every generation. Choose to be that people! After all, one hundred years from now the only thing that will matter is someone’s relationship with God. PFUMC has been proud to support the Scouts in the Pflugerville area, offering countless troops a place to meet, hold day camps and other events, and sponsor fundraisers. Janice Harris started the first Daisy Girl Scout troop made up of mostly church members’ daughters in 1998. These girls stayed together until 2003, becoming Brownies and then Juniors. They volunteered in the food pantry, participated in Girl Scout Sunday church services, and donated money for a stained glass window in the sanctuary. The girls all earned their “God and Me” badge. Assistant leaders were Keli McKissick and Donna Coppedge. In the 2000s the church was the location of monthly service unit meetings for the Pflugerville-area Girl Scouts. Many adult volunteers have spent time at the church at these meetings and other trainings, as well as the annual lottery to distribute cookie booth locations. The church has also been the site of many service unit events, hosting as many as 100 girls at a time, at events ranging from Daisy sleepovers to Cooking for a Cause (to make treats for first responders) to Thinking Day events where girls learned about countries and issues around the world. Many girls who do not attend the church have experienced the church’s hospitality due to these events. The service unit has encouraged the girls to support the missions of the church, particularly the food pantry. Numerous troops continue to meet at the church, as does the Pfirefly (Pflugerville-area) service unit, under the leadership of Kate Johnson. Holly Taylor’s troop started as Daisies in 2000 and graduated from high school in 2013. During those years the troop met in the old education building (now the admin building), the attic, the kitchen, the FLC, and the new education building. The girls especially enjoyed the years they met in the kitchen, because they would often bake cookies during their meetings. 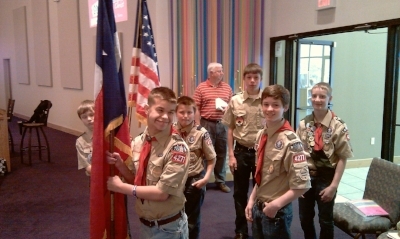 Boy Scout Troop 408 was started on January 1, 1986, at Pflugerville First United Methodist Church and is one of the longest active troops in the Pflugerville area. We continue to be chartered and supported by the same church today. The troop’s start came from the growing Pflugerville population boom in the 1980s. Our roots actually came from another Austin-area troop. Since the early 1980s, Dan Callaway was scoutmaster at Troop 409, which was sponsored and chartered at Walnut Creek Baptist Church in Austin. Over half the boys in Troop 409 lived in Pflugerville, and it was decided to organize a troop in the Pflugerville area. Dan Callaway agreed to be the first scoutmaster at Troop 408 and Richard Baxter, assistant scoutmaster, agreed to remain at Troop 409 and be their scoutmaster. On October 21, 1985, Dan Callaway met with Karen Vannoy Levbarg, who was the second minister appointed to Pflugerville FUMC along with Bob Treece from the Capitol Area Council of the Boy Scouts of America. They decided the new troop (408) would start in January 1986. On November 9, Dan met with the church committee including chairman Wayne Moore. The first committee meeting was held at the church on November 19 to discuss policies of the new troop. On January 6, 1986, Troop 408 held its first meeting at Pflugerville First United Methodist Church. 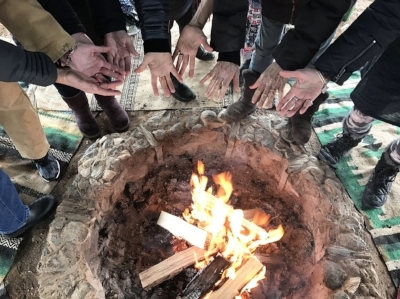 On January 25, the troop went on its first campout to Acheson Ranch north of Bertram. The charter members were adult leaders: Dan Callaway, Jerry Bohn, Charles Ogden, and Wes Mays. The scout charter members were: Scott Callaway, Neal Carter, Thai Vo, David Halvorson, Josh Bohn, Andy Hello, Richard Hall, Randy Duncan, and Tres Ogden. On Scout Sunday, February 2, 1986, Troop 408 scouts attended the Pflugerville FUMC worship service for the presentation of the troop charter by Bob Treece of the Boy Scouts of America Capitol Area Council. Money was donated by a church women’s group to help with the initial troop finances. In October 1988, Eagle Scout and assistant scoutmaster Steve Hagle stepped up and became the second Troop 408 scoutmaster. The troop thrived for many years under his guidance and experience. The troop went on many high adventure outings, including multiple trips to Philmont, the Boundary Waters in Minnesota, and Pecos Wilderness. During Steve’s tenure, Troop 408 nurtured 31 young men to be Eagle Scouts. Steve continued to be active in Boy Scouts at the council level for many years. Steve Hagle decided to step down after 15 years of service to the troop. However, he returned as an assistant scoutmaster while his own son was working to achieve his Eagle rank. After serving as a den leader in Pack 409, Bob Weibel became an assistant scoutmaster in Troop 408 when his younger son Steven crossed over from Cub Scouts in March 2003. Robert, his older son, was already a member of the troop. The Weibels are members of PFUMC, and Robert and Steven were very active in the church youth programs. In January 2004, Bob became only the third Troop 408 scoutmaster and remains there to this day. As of January 2018, Troop 408 has produced a total of 55 Eagle Scouts. Frank and Marian Wolf started this class while at PFUMC in the late 1990s. Disciple Bible Study is an historical approach to Bible study that emphasizes reading and listening to scripture. You will have read most of the Bible after completing the first class—if you do the reading! After completing Disciple 1, you can dig deeper into parts of the Bible by taking Disciple 2. Brenda Allen was a student in Disciple 1 in 1998. At that time, Janet Jones was the leader. Brenda remembers walking into the classroom as Janet was proclaiming she was protected by the “full armor of God!” while dressed in homemade armor and wielding a plastic sword. Some other members of the ’98 class were Kim Moser, Wayne Marr, Diane Pryor, and Ben and Kay Wolfe. Brenda’s husband, James, joined the class in 2001. That year the class consisted of 12 men out of 15 students! A very special experience for Brenda while working with the Disciple class was the year of the 9/11 attacks. The class was scheduled to meet that night, but Pastor Frank felt it was important to have an impromptu church service. Marian suggested they cancel the class, but after talking to other members, such as Joel and Briana Roehling, the class decided to attend the service and then hold their class afterward, even though it would be late. They really felt the presence of God during this scary time, and couldn’t help but wonder if this was how the early Christians felt during times of persecution. It also reinforced how fortunate they were able to freely worship God. After Disciple 1, there are more studies. Disciple 2, 3, and 4 as well as Jesus in the Gospels. These have been led by many other people including Linda Miles, Donn and Dortha German, Karan Wester, Carol Berglund, Holly Taylor, Don Greenway, and Pastor Wade Lindstrom. Bible study is a spiritual discipline that helps us connect with God and others to be disciples of Jesus Christ. There often is a ministry project that the group decides to do. One example is that after a Disciple 2 class the participants began an ESL training class. This group started on October 28, 2003, and has met weekly since then. The study started with meetings in the home of Mike and Sandi Pursley with "The Purpose Driven Life." After that first study, a volunteer in the group led them, and the meeting place rotated to various members’ homes. The original members were Mike and Sandi Pursley, John and Karan Wester, Mike and Evelyn Williams, Liz Klar, Linda Lindsey, and Carolyn Sill. The membership has changed greatly over the years, and the only original members still in the group are John and Karan Wester. The current members are Steve and Jessica Kennedy, Donn and Dortha German, Marilyn Horndt, Nancy and David Mossman, Wayne and Noreen Moore, John and Karan Wester, Ron and Nancy Wildberger, and Carol and Victor Berglund. The ground rules were established and have mostly been followed over all the years since we started. They are 1) must have a video with the study; 2) no homework required; 3) have a snack at the start of each meeting with items brought by members; and 4) after each study series we have a party. The parties have mostly been potluck dinners with various themes, but have also included going out to a restaurant from time to time. We always try to have a Christmas party, observe Fat Tuesday with breakfast at night, have Advent- and Lenten-themed studies, and some years an Easter study. Other study authors have included John Ortberg, Ray Vander Laan, Rick Warren, Max Lucado, Phillip Yancey, Adam Hamilton, Mike Slaughter, and many others. Most often the studies are donated to our church after we complete them, and they can be found on the bookshelves in the Issues Sunday school classroom. The group has also done several service-type projects over the years but several years ago settled on a longterm commitment to provide backpacks with food to students at Pflugerville Elementary School where Jessica Kennedy teaches. We affectionately call it “backpack buddies.” Steve and Jessica get the backpacks checked out and delivered to the school each week and do a great job keeping things coordinated. We’ve been through a lot together and offered support to each other through all kinds of life events. This group has been very special to me over all the years and through all the different studies and people who have participated. Servant Angels is a women's group in the church. It was started in the late 1990s by a small group. Some of those participating in the early days were Donna Baldwin, Mary Helen Jennings, Nelda Loyd, Frances Perry, Mary Jane Sandford, Joan Tyson, Doris Walker, Kay Walker, Patti Walker, Paula Harnsberger, and others. Their purpose was to support each other in prayer, devotionals, and fellowship. They supported the food pantry and helped with church activities involving the kitchen. Now the group meets once a week for prayer, songs, devotionals, and to give help where needed. Some Angel projects are: filling mercy bags, serving at memorials and funerals, keeping the kitchen in the FLC in order, hosting graduation and confirmation breakfasts, help with Angel Tree, and delivering Christmas cards to veterans. Dues are collected to be able to assist those in need. The group hopes to continue meeting and serving others. New members are always welcome to join. The United Methodist Men’s group was formed shortly after the church started. Emmett Eary, Dale Loyd, Doug Monzingo, Wayne Moore, and George Tolleson were among the many men who joined the group. George remembers when the MM prepared steaks and served them to the mothers on Mother’s Day. He reported there was lots of great fellowship the night before as they prepared for these special meals. This first group died off after a few years. Later it was started again and this time, the group became mostly a work-centered group that would do many of the repairs around the church and sometimes helped members with home repairs as needed. This didn’t work out too well either, and it fizzled a second time. The third time the group started seemed to be the charm. The group has done many work projects in the church and for others. An example is the 2013 PFUMC Outreach Shower Project in the Family Life Center that allows traveling youth groups to stay overnight. The project was dedicated in loving memory of Cory Monzingo and Matthew Kendall. Today, the group meets the third Saturday of each month at 8 a.m. for a cholesterol breakfast, which normally consist of eggs, bacon, sausage, biscuits, and gravy. There are usually 15–20 men there on any given day. While they still do the occasional work project, they also have a lot of guest speakers. George would like to remind the men of our church that this is not just a group for old men, and he encourages the younger men of our church to come join them for a great breakfast and fellowship. Family and marriage ministry has always been important at PFUMC. There have been marriage relationship classes like “Soul Mates,” led by Michelle and Mike Pickard in the late 1990s and early 2000s, and “Parenting With God,” led by Laurel and Statler Mood and others after that. Through classes like this we connect with each other and with God. Marriage and family relationships have been enriched as a result of involvement in these classes. In 2009, we began leading marriage enrichment small groups in our home using the movie Fire Proof and the associated study “Love Dare.” After establishing three groups we hosted a kickoff for new groups by showing the movie in the FLC and having a fire truck out front for people to visit. The reception was great, and new small groups began. We change the study each year with new people interacting with some who participated in earlier groups. The studies are appropriate for all ages and stages of relationships from dating to over 50 years of marriage. Many of the things we learn apply to all loving relationships. The studies involve watching short video clips and then discussing them in the group. All who are available go to dinner together for additional fellowship. 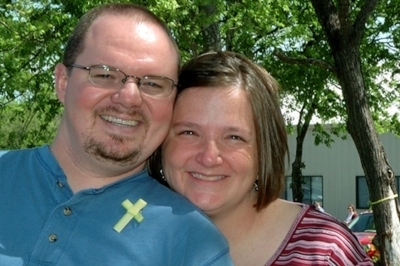 Melissa and James Minor joined and helped lead studies meeting at the church year after year. We use studies by Christian authors like “Five Love Languages” by Gary Chapman; “10 Great Dates” by Claudia and David Arp; “As Long As You Both Shall Live” by Gary Smalley and Ted Cunningham; “Laughing Your Way To A Better Marriage” by Mark Gungor; “Love Talk” by Drs. Les and Leslie Parrott; and others. In 2016 and 2017 we took the best of all of these in new small groups we called “Loving Relationships”. It is a real joy when the Holy Spirit moves to reveal new insights in their relationships. Couples become more appreciative of their differences, enhance their communications, find forgiveness, and renew the romance. During our 53 years of marriage, we have learned that it is helpful to have some kind of relationship enrichment training every year. We always gain something really helpful to grow our relationship. With about half of all marriages in churches, as well as in the community, ending in divorce, this ministry is of utmost importance. The Issues Sunday School Class was started in the very beginning in 1983 when the church was established. It was led by George and Sandy Tolleson and met in Marshall's Tavern. Each Sunday morning we had to go in and clear the ashtrays and beer bottles off the tables before we could begin class. In the beginning, the class discussed current issues and how we thought God would deal with them. Over time the class has moved mostly away from current issues, and we now discuss different Christian books and video series authored by such people as Adam Hamilton, Max Lucado, and others. Some of the people who have led: George and Sandy Tolleson, Dean Harris, Linda Miles, Brenda Allen, Jack Foreman, Don Greenway. Pastor Terry retired in June of 2011. The people in Terry’s classes decided to continue meeting together on Sunday mornings. Patrick Holmes volunteered to lead the class and still does. The class took the name “Living the Questions” (LTQ) and has done that study again. It is 21 sessions long, but the class took at least twice that long to finish it because of class discussion. The LTQ class has grown to over 30 members, requiring a move from the small library to a large classroom. The class connects, learns, and grows through study, discussion, and fellowship. We encourage and support each other. Studies are usually thought-provoking and progressive. This includes many of the studies offered by “livingthequestions.com” as well as others by authors like Adam Hamilton and Marcus Borg. In December 2017, after being very concerned about the United Methodist Church's treatment of LGBTQ people, the class voted to join the Reconciling Ministries Network with 30 yes votes and zero no votes. The class invites and welcomes all people regardless of age, race, gender, sexual orientation, or ethnic background. We are a Reconciling Community. Monday Connections Sunday morning small group started in 2010 and was led by Pastor Monte Marshall. The group's focus has been to link Sunday worship to our everyday journey and discipleship. In the beginning, the group used many Adam Hamilton studies. After Pastor Monte's departure, Deena Raynor led the group in various studies; Joel Roehling led intermittently and took over the class when the Raynors moved away. Rob Turk now leads in Joel's absence. The group has gone through several books of the Bible, including Acts and its focus on the new church, Proverbs, Revelations and back to Acts focusing on Paul's journey. The group uses Max Lucado’s Life Application Bible as well as a Tony Evans study guide. We formed the “I Forgot” Bunch in 2005. George had recently retired, and we wanted to have a once a month outing for mostly retirees to enjoy fun and fellowship together. We were happily surprised that so many single members joined the group. One of the first meetings was to discuss ideas on things they could do and they held a potluck lunch. Before the meeting started, Paula Harnsberger told George she had a great idea for the name for the group. George asked her to wait until they all had a chance to discuss it. When they got to that part of the meeting, George asked Paula what her suggestion was and she replied. “I forgot!” Everyone agreed it was the perfect name. One of our favorite memories was the time our group took a trip to the brewery in Shiner, Texas—in the church van! We met a carload of visitors in the church parking lot from another church. Those new friends later sent an email to the group saying they had wanted to visit but were reluctant to come in their church van. While visiting the brewery, Ben Gomez passed out while leaning against some of the machinery and EMS had to be called. Turns out Ben was fine, although pretty upset he missed his sample of beer! Today the group does not meet as often because we have run out of new places to go, but we welcome new members and new ideas for outings anytime! In August 2014, the first group in FUMC was formed with women of different ages and in different seasons of our lives. We called it Women Across the Ages–WATA. Monthly, we gather around the table in member’s homes. We provide an environment for conversation about following God and giving God away. It is a safe space for all to feel known and to learn from each other, while sharing our lives on a very deep level. Discussion topics are provided by IF to facilitate the conversation. Besides our monthly table, the most meaningful thing we do is support and pray for each other. When any one of us needs prayers for family, friends, or any other things, we have a group text and share the request. We have many joys that we share, like the birth of a grandchild. In 2016, we wanted to encourage others at FUMC to form additional small groups. We did so by inviting women to a gathering in the FLC where we modeled a typical IF Table. Several groups were formed. We mentored them to help them get started. We hope that more women will form IF Table groups to connect in deepening friendship and faith. Dinners of 8 have been organized at various times at FUMC sometimes for relationship building and at other times for enrichment. After many years without this program, we began organizing new Dinners of 8 small groups in the summer of 2017. The purpose of these new small groups is to connect people in a more intimate setting, to build up and support each other, and to foster a deeper connection with God. Over 50 people participated and were assigned to seven groups. They met once a month for four times in people’s homes for a potluck dinner or in conversation-friendly restaurants. The groups give an excellent opportunity for those who are new to the congregation to become involved. They may do so as couples or as singles. Several of the groups continue as longterm groups while others re-form in a new cycle of four months to meet new people. The groups pray together and use discussion questions to learn more about each other and share their faith. These groups are enriching and inspiring. We make some lasting friendships. In times of difficulty, loss, or joy, the support of others in the group is uplifting as we share our lives. Laura Jean Marshall, wife of Pastor Monte Marshall, started the quilting group that makes the quilts for babies baptized in the church. Today, Sandy Tolleson, Cindy Enders, and Dortha German continue the tradition. The quilters provide the fabrics for the quilts and batting is purchased from donations from the congregation. The ladies make the quilts at home, and then Rhonda Hawkins embroiders the labels and attaches them to the quilts. The quilts are presented to the families as a special keepsake during the baptism ceremony. The Walk to Emmaus is a three-day experience of Christian spiritual renewal and formation. It is an opportunity to meet Jesus Christ in a new way as God’s grace and love is revealed through other believers. The objective of the Walk to Emmaus is to inspire, challenge, and equip local church members for Christian action in their homes, churches, and places of work. Emmaus lifts up a way our grace-filled lives can be shared and lived with others. The Walk to Emmaus is filled with prayer, communion, singing, fun, love, and grace shared through building community as each individual learns ways to build and strengthen their individual relationship with God through Jesus Christ. Preparation for a Walk to Emmaus starts at least six months out and involves over 50 people preparing, training, and serving to make the experience the best one ever for each attendee (called pilgrims). Many from our church have served on teams that lead and support a walk, and most of our pastors have been active in walks as spiritual directors. PFUMC has been involved in the Walk to Emmaus movement for most if not all of its 35 years. Over that time hundreds of PFUMC congregation members have attended a Walk to Emmaus. To lead a Walk to Emmaus takes about five years of training and participation to qualify as a lay director for leading a Walk to Emmaus. Over the years PFUMC has had the following members lead a Walk to Emmaus as a lay director: 2001 Roxie Greenway, 2003 Kathy Shaw, 2004 Don Greenway, 2005 Tommy Horndt, 2008 Gene McConnell, 2011 Jack Foreman, 2013 George Tolleson, 2015 Debby Krueger, 2017 Rob Turk, 2018 Coe Groce. Many have also served on the Board of Directors for the Greater Austin Emmaus Community. Emmaus is a very important ministry for helping PFUMC members strengthen their faith and relationship with God and with their community. Following walks many participants form or join a “Reunion Group” that meets weekly for support and encouragement in their continued walk with Christ. PFUMC has several reunion groups. Nancy Mossman was pastor in 2003 when she and several others went to Bethany UMC and took the Alpha Course there. We then brought it back to our church in Pflugerville. Gene McConnell, Jack Foreman, and Barbara Ayers were very instrumental in leading the program. We find these days that there are a lot of people with a lot of questions about Christianity. They have a great deal of interest in the gospel and in Jesus Christ if they could just find a setting where they are warmly welcomed and accepted, a setting in which they don’t feel threatened or judged and also a setting in which people can recognize you need time if you are going to truly assess the really big claims that Jesus Christ makes upon our lives today. That was the aim of our Alpha program. For twelve weeks we would share a meal, hear a talk on a basic tenets of Christianity and then as table groups discuss the topic and ask questions about that aspect of Christianity. Some of the topics were: Who is Jesus? Why Did Jesus Die? How Can I Be Sure of My Faith? Why and How Should I Read the Bible? Why and How Do I Pray? How Does God Guide Us? How Can I Resist Evil? What About the Church? One of the amazing things about this program was the retreat we would have about six weeks into the program. We would have a weekend retreat that was completely devoted to discussing the topic of the Holy Spirit–“Who is the Holy Spirit? What Does the Holy Spirit Do? And How Can I Be Filled With the Holy Spirit?” So many people that went through this program found true Christian community within our church as a result of this program. They got connected to other people relationally through the power of the Holy Spirit, and this program made our church community stronger and closer to each other and to God. Reverend Barrett Renfro, associate pastor from 1999–2000, wrote the original curriculum used for this class. Associate Pastor Brenda Allen continued teaching this class and welcomed the opportunity to meet so many of the new families that joined the church and wanted the opportunity to learn more about the Methodist faith. Emmett Eary has also taught this class. Sandy and I attended churches of another denomination most of our lives. In 2012 we decided we wanted to change denominations, so we researched different denominations online and chose Methodism. We visited Pflugerville FUMC because it was the Methodist church nearest our home and it was important to us to attend a church in our community. We started visiting PFUMC in July 2012 and joined the church in October 2012. During our first couple of years at PFUMC we attended a new member class taught by Kathryn McNeeley and Disciple I and II classes to learn more about the Methodist church. We also attended a Methodism Class taught by Emmett Eary. That class was four one-hour sessions and was a good introduction to the Methodist Church. The course began with the structure of the United Methodist Church and a summary of the functions of the General Conference, the Council of Bishops, and the Judicial Council. Emmett explained how the Book of Discipline contains the plan by which our church is governed and that it includes our constitution, our history, our doctrinal standards, and our mission. The course presented a brief overview of how the Methodist Episcopal Church grew out of a lay movement started in America by John Wesley and how through mergers we eventually became the United Methodist Church. The main emphasis of the course was on the core beliefs of Methodism. This included an explanation of the Wesley Quadrilateral, the four sources that John Wesley used to reach theological conclusions. The course concluded with an overview of the United Methodist Social Principles and a discussion of ways that we can be involved to advance those principles in our community. We found the class to be informative and interesting. This was enhanced by Emmett’s skill as an instructor and his obvious commitment to living a productive Christian life. In 2003 we determined that there was a need to help members understand what the spiritual gifts are and how members could identify the spiritual gifts they have. Roxie Greenway and Gene McConnell went through a spiritual gifts workshop at Bethany UMC to learn how to put together and facilitate a spiritual gifts workshop at PFUMC. In the fall of 2003 we had our first spiritual gifts workshop with about 30 people attending, including several high school students. Cecilia Barrentine from Bethany UMC facilitated the first workshop with the help of Roxie Greenway and Gene McConnell. Since that first workshop we have continued to periodically offer our Spiritual Gifts Discovery and Ministry Exploration Workshop, which has two parts as explained below by Roxie Greenway. The spiritual gifts workshop offers an in-depth assessment of your gifts based on your personal activities, preferences, talents, and beliefs. The assessment is based on scripture and it encourages you to carefully assess yourself. It is designed to identify gifts that you may not have known you possess. The ministry exploration portion of the workshop helps you identify ways that you can use your spiritual gifts in the areas and activities of the local church that meet your passion. The workshop leaders work with you to fill a specific church need. For example, a participant with a commercial driver’s license and a passion for senior adults organized a van ministry to drive seniors to church on Sundays. The workshop is held approximately twice a year depending on interest and need. The Stephen Ministry is a caring Christ-centered lay ministry. First United Methodist Church in Pflugerville was blessed with this ministry when God touched Kathy Shaw’s heart while she was visiting her husband who was working out of state. She heard about this wonderful lay ministry at a church they visited. This ministry trained lay members to walk through crisis with those of God’s hurting. It was given this name because of the Bible story in Acts 6: 1-6. This story tells about the time after the death of Christ when the disciples realized that their work was to spread the word but also knew God wanted the widows and orphans taken care of. The disciples asked Stephen as a lay member of the church to take on this responsibility to carry on God’s work in caring for those in need. Kathy came back to Pflugerville and along with Marian Wolf, the pastor’s wife, did their homework and brought this ministry to PFUMC in 1997. The first group of Stephen ministers was trained the next year. The first Stephen leaders were of course Kathy Shaw and Marian Wolf. I (Debby Krueger) was going through a crisis many years before in a city far away. I had the most extraordinary experience and was touched by God through my Stephen minister. Then 15 years later, I was the first one to sign up when Kathy talked about it here at FUMC. Others who joined were John Wester, Vicki Smith, and Emmett Eary. Throughout the years there have been many Stephen ministers. They continue to serve our church members and have always been open to serving anyone in the community that is in crisis. This is a very confidential ministry where no one but the Stephen leader and the assigned Stephen minister know who is working with whom. Stephen ministers and leaders cannot share who is in the ministry by verifying or denying someone is in the program. Knowing that God is the ultimate cure giver, we as Christian lay members choose to be God’s hearts, ears, mouths, hands, and feet as He is at work through the caregivers and in the care receivers. For this ministry to be effective, it needs the support of the church by lifting the ministry in prayer, by referring names of those suffering to the Stephen leaders to contact, and by being open to the power of God working for them through this ministry. If you or are someone you know needs help please contact our current Stephen Ministry Leader, Debby Krueger, at 512-415-9811. God is good and so is this ministry. Join us in serving or allow us to serve you. The purpose of the Wednesday Morning Prayer Group is to come together and pray for those having birthdays the coming week, for the week's visitors, and for those having concerns and/or celebrating joys. We begin by sharing a short devotional and prayer. Also included in our prayer time are our homebound members. Following our prayer time, we write notes to those we feel may need encouragement. We seek to serve the entire congregation and friends as well as our community. The ministry began about 1998 and was started by Frank and Marian Wolf. Some early members of this group were Brenda Allen, Donna Baldwin, Linda Day, and Bess Norton, among others. Brenda Allen recalled two times that she felt the church particularly came together to offer love and support for each other through prayer. Both occasions involved the death of young members of our church, Laura Thompson and Scott Mentzer. I became involved with the ministry about four years ago and thoroughly enjoy this fellowship and prayer time each week. It has been very important to me since I have had various health issues of my own. I am reassured that I am always covered in prayer, not only by this group but my whole church family. That's a part of what the group is, a reminder that we are part of the family of God. We are not an exclusive group and welcome anyone to join us at 10:00 o'clock on Wednesday morning in room 102 in the Administration building. Gloria Wood was the leader of the group that came together gradually. Many prayer shawls have been shared. One particularly fond memory of the group was a shawl made for Donn German. He passed it along to Bess Norton, who passed it on to Pastor Monte when he left. Pastor Valerie would often take prayer shawls to people she visited in the hospital. Pat Knight often does that now. Jeanne Garde is known as the professor of the group. She makes beautifully intricate patterns that the group loves to show off. She is able to teach others and help when they are stuck! The group is not just about crocheting. Some knit, some color, some make other craft type projects such as rag rugs. What they all reported was a sense of acceptance and support. They have all become good friends who love their quiet, reflective time together. Some have passed along their projects to other groups such as the Linus Project or the homeless. The group is open to members and nonmembers. There are no real guidelines, except come and enjoy a devotional, prayer and positive thoughts. They meet Wed. from 2:00-3:30. There will be anywhere from 2-10 people there any given Wednesday. They provide their own materials, but will also accept donations. They are always happy to welcome new crafters! They are open to beginners or seasoned crafters. The stay-at-home moms Bible study started in the Fall of 2013. Pastor Valerie was instrumental in forming the group. The purpose was to have a gathering of moms from our congregation and preschool to share fellowship and study the Bible on a weekly basis. The group started with Pastor Valerie leading a group of moms with young children. We alternated between Bible studies and books on family and motherhood. I became involved with the group from the beginning. I had one son, AJ, who was 18 months old and I was pregnant with my second son, Marty. One of my fondest memories was introducing myself to the group and telling everything that I was pregnant as I hadn't told anyone yet. 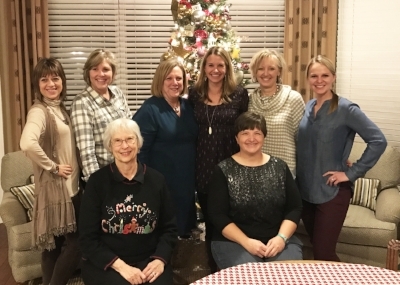 This ministry brought together moms from our congregation from different walks of life, who attended different services, and created a bond through motherhood and Christ. For the past five years, not only has this group gotten together on a weekly basis for Bible studies and playdates, we are in constant communication and rely on each other for everything. We have become more than a Bible study: we are a family. We not only support each other spiritually, we also support each other as mothers. Even after Pastor Valerie left PFUMC, our group still was in contact with her, and we all had a big send-off dinner for her when she left for San Antonio. ReWYRE stands for Rebuilding When Your Relationship Ends. The purpose of the course is to find hope and healing in this 11-week recovery workshop for those whom are divorced, separated, widowed, or grieving the loss of a significant love relationship. The workshop is based on the book written by Dr. Bruce Fisher. I took this course back in 2013 after a painful divorce. The class was such a wonderful start of healing that I wanted to give back to others what I felt I had been given: hope, encouragement, building blocks for growth as a single person etc. I began teaching the class in 2015 as one the facilitators at Bethany United Methodist Church. In the spring of 2017, I moved to Pflugerville. Feeling strongly led by God to continue to serve others, I led the ReWYRE workshop in January–March 2018. Charles Chupco was also one of the facilitators. This workshop is open to people in the community who need healing. It’s important to create a safe space where hurting people can share within the class. That is why the class does not accept new participants after the second week. I have seen amazing healing with all the participants through the years of teaching, starting with myself. Everyone that has taken this class has no regrets. You learn a lot about yourself and that the various stages of grief are normal, a mountain to climb but definitely attainable. Going through such pain feels very lonely, but we are never alone. God is with us even if we don’t believe it or see it. We are called to serve others just as Christ has shown us the ultimate example, as He came here not to be served but to serve others. My hope is that we can reach others beyond the church walls.